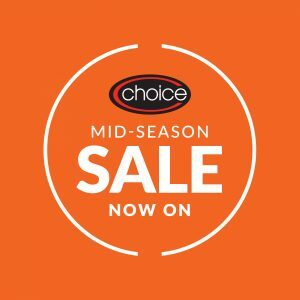 There are thousands of lines reduced, with a further 50% off the Choice Stores price. Includes women’s, men’s and kid’s fashion, accessories and home products. Visit in store now!